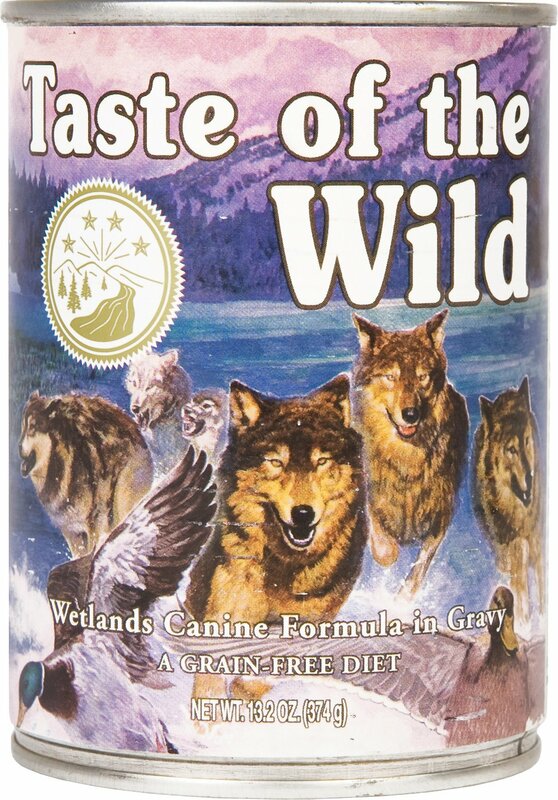 Taste of the Wild Wetlands Canine Formula with Fowl in Gravy will satisfy even the most picky dogs. This complete and balanced formula can be fed as your pet's sole diet, or used in combination with the dry foods. Made with fowl, this formula offers a taste sensation with duck, quail and turkey for a blend of fowl that provides optimal amino acid nutrition. Supplemented with vegetables and fruits, this formula delivers antioxidants to help give your four-legged friend a healthy lifestyle.